Planning a move has never been an easy task. There is without a doubt a lot of stress as well as pain involved when one has to leave a familiar environment before settling in a completely unknown and new place. Nonetheless, when natural calamity strikes, there is no other option, but to move out somewhere secure and safe. All can be well; if you do a little extra planning and have that added dose of persistence. Certainly, nothing can break you then. Given below is a checklist for you to take care of when moving during bad times. Firstly, you need to stock up all your valuables in your safe deposit box at either the bank or give them to your near and dear ones. These include your credentials like certificates, wills, birth certificates, miscellaneous records, bank documents; insurance policies, important testimonials, etc. Additionally, take a video of the contents of your home and basement for insurance purposes, just in case you may need them. Keep containers like plastic storage boxes and wicker baskets handy to fill in all your basic requirements including your medicinal drugs and other essentials? Stock up as much as food you can, preferably canned food. Also, don’t forget to fill as much as water as you can, because you never know for how long you will have to go without water.. When you are all set to go, call for a professional moving company. Explain to them your budget needs and if they fit the bill sign up with them. Ensure that your movers and packers make an inventory list of all your necessary belongings. Besides, once you have moved there are several things you will have to take care of apart from the usual packing, loading, unloading and unpacking. For instance, there will be lease agreements, which will need a great deal of planning as well as management. 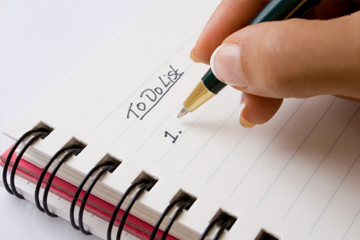 Remember, you will be having a very tight schedule to complete the move thus you cannot miss out on important things. Trust me; they will help you simplify the entire moving process. Good luck!